Any individual or entity may apply for a trademark where they are using a mark (or allowing someone else to use it with their consent) or intend to use it as an indicator of origin for goods or services. A UK trademark may be registered if it is a sign that is capable of being represented graphically, and which is capable of distinguishing the goods and services of one undertaking from those of other undertakings. The requirement for a sign to be capable of graphical representation means that it is more difficult in practice to register smells, sounds, colours and moving images as trademarks in the UK. However, this requirement is due to be removed for UK trademarks by 15 January 2019. Following the removal of this requirement, it will become easier to apply for sound, colour, smell and moving image marks. This requirement has already been removed for EU trademarks that cover the UK (with effect from 1 October 2017 onwards). its use has been prohibited in the UK. If the subject matter of a mark fails to comply with the requirements set out above (the ‘absolute grounds for refusal’) then it cannot be registered, but it may still be capable of protection at common law (see question 3). the misrepresentation has caused damage to the claimant. An actionable misrepresentation under the law of passing off may include the use of an identical or similar trademark, thereby effectively providing protection for common law trademarks. An application for a UK trademark that does not encounter any objections or oppositions would typically take around three to four months from the filing of the application to proceed to registration, although this depends on the workload of the UK Intellectual Property Office (the UKIPO). The UKIPO’s filing fees for a trademark in a single class are £170 for an online application or £200 for a paper filing, with an additional fee of £50 for each additional class. If the applicant is based outside the UK, then he or she must appoint agents within the European Economic Area (EEA) or Channel Islands to act as an address for service when filing the application. Many applicants instruct lawyers or trademark attorneys to draft the specification of goods and services and to file the application on their behalf, which incurs additional fees. If the examiner raises any objections or a third party seeks to oppose the application then this will extend the time frame and is likely to increase the costs associated with the registration. The UK uses the Nice International Classification system. It is possible to file multi-class applications for UK trademarks, with the cost savings set out at question 4. The current UKIPO practice for examination of trademark applications is set out in the Examination Guide contained in the Manual of Trade Marks Practice. The UKIPO will examine an application to establish whether it complies with the ‘absolute grounds’ criteria set out at question 2. If an application fails to comply with these requirements then it will be rejected. Following substantive examination, the UKIPO will identify whether there are any pre-existing UK or EU trademarks that are either identical or so similar that there would be a likelihood of confusion (the relative grounds of refusal). If such a mark exists this will not prevent registration, but the examiner is required to notify the owner of the earlier UK trademark if the application is accepted for publication. The UKIPO will not raise an objection of its own accord to an application on the basis of a prior third-party mark during the examination process. There is therefore no need to file a letter of consent at this stage, although an applicant may choose to do so in response to the examination report. If the UKIPO examiner objects to the application the applicant will have two months to respond. Depending on the objection, the applicant may request a hearing, file evidence of use (to show acquired distinctiveness) or amend or divide the application (to allow those classes for which the application is acceptable to proceed). A trademark need not be in use before registration is granted. However, an application for a UK trademark requires a declaration that the applicant is either using or intends to use the mark. While the UK trademark office does not require evidence of use to be filed, if a trademark is not used within five years of registration then it may be vulnerable to a revocation action by a third party and the owner will need to submit evidence of use to defeat the action. Foreign applications in countries that are either a party to the Paris Convention or that have an agreement with the UK for reciprocal protection of trademarks will be granted a right of priority for six months from the date of the application. This means that if that applicant files an application for the same mark and same classes of goods and services in the UK within the six-month period, then they will be able to claim priority from the date of the foreign application. If the UKIPO denies a trademark application, the applicant can appeal to the trademark office within two months of the decision. The appeal may involve the applicant requesting a hearing before a senior officer to discuss the case. Once the written decision of the hearing is available, if the applicant remains unhappy with the decision, they can appeal either to an ‘appointed person’, who is usually a respected barrister or solicitor specialising in trademark law, or to the High Court. the opposed mark is identical or similar to the opponent’s mark and the use of the opposed mark would be detrimental or take unfair advantage of the pre-existing mark’s reputation. Similarly, a third party that has unregistered rights may oppose an application on the basis that it gives rise to an action in passing off (see question 3 for further detail). An opponent could also file an opposition based on the absolute grounds of refusal set out at question 2 (including bad faith). The opponent would need to file a notice of opposition and pay the appropriate fee (£100-£200). been used in a manner that misleads the public. The third party would need to file a notice of cancellation and pay the appropriate fee (£200). The costs of fully contested opposition and cancellation proceedings can vary considerably depending on the amount of evidence that is filed and the approach taken to the proceedings by the parties. A UK trademark registration initially remains in effect for 10 years, with the possibility to renew for further periods of 10 years indefinitely. There is no need to submit evidence of use to the UKIPO when applying for renewal. In the UK, it is often easier, quicker and more cost-effective to use a registered trademark to prevent another entity from using the same mark, rather than relying on unregistered rights in a passing off action. This is the case whether the trademark is being enforced before the courts or by the UK’s customs authorities. For the same reason, a registered trademark is more likely to act as a deterrent to infringers. If a mark is registered it will also make it easier for a proprietor to oppose any future applications by third parties to register an identical or similar mark. It is also easier to exploit and commercialise a registered trademark (eg, through licensing arrangements) in the UK. A licence may be recorded against a trademark at the UKIPO. If a licence is not recorded then it will be ineffective against a person acquiring a conflicting interest in or under the registered trademark in ignorance of that licence. In addition, recording a licence can provide the licensee with rights to bring infringement proceedings in certain circumstances. Finally, if a licence is not recorded within a period of six months, a licensee who subsequently brings infringement proceedings may not be entitled to recover their legal costs. A registered trademark can be assigned with or without goodwill. However, if the trademark concerned does have associated goodwill it would be usual for this to be assigned with the registered mark. If not, then care will be needed to ensure that the respective rights of the assignor or assignee following assignment are provided for in the agreement to ensure that the assignee’s intended use of the registered trademark will not infringe any unregistered rights in the goodwill in the mark that has been retained by the assignor. A registered trademark can be wholly or partially assigned. If it is partially assigned, then the mark can be divided into two registered trademarks, with one being retained by the assignor and the other being assigned to the assignee. Under UK law goodwill attaches to the business and therefore it is not possible to assign goodwill in a mark independent from the underlying business to which that goodwill attaches. An assignment of a registered mark is not effective unless it is in writing signed by or on behalf of the assignor or their representative. No other formal requirements, such as notarisation, are required. An assignment does not need to be recorded for purposes of its validity. However, until it is recorded the assignment is ineffective as against a person acquiring a conflicting interest in or under the registered trademark in ignorance of it. This means that a third party could potentially acquire the registered mark from the previous recorded owner if the new owner has not yet recorded their interest. Security interests over a registered trademark can include mortgages and fixed or floating charges. The security interest does not need to be recorded for the purposes of its own validity or enforceability against the trademark owner. However, if the interest is not recorded the security will be ineffective against a person acquiring a conflicting interest in or under the registered trademark in ignorance of the security. This means that the registered trademark could be assigned to a third party without the encumbrance of the security interest. It is not possible to record security interests over goodwill at the UKIPO but if the trademark owner is a registered company or similar corporate vehicle it will be possible to register such security interest at Companies House. It is not mandatory to use any words or symbols to indicate trademark use or registration. If a trademark is registered then it is common to use the ® symbol or sometimes the words ‘registered trademark’. It is a criminal offence to use these symbols or otherwise represent that a mark is registered in the UK when it is not. There are no direct legal benefits of using the ® symbol, but it serves to make it clear to potential infringers that the mark is registered, which may have a deterrent effect. A trademark owner’s primary means of redress for the infringement of its registered trademark will be to issue infringement proceedings. The trademark owner would usually have the choice of bringing proceedings before the High Court; or the Intellectual Property Enterprise Court, which is intended to be a lower cost forum for claims with a value between £10,000 and £500,000. In respect of counterfeit goods, a number of bodies are empowered to enforce criminal offences relating to the use of signs that are identical to, or likely to be mistaken for, a registered trademark, in particular trading standards. Trademark owners can also take advantage of border enforcement mechanisms - which may result in goods being seized (and potentially destroyed) by Customs authorities when goods are entering the UK from outside of the EEA. It is also possible for trademark owners to bring private criminal prosecutions for trademark infringement, although this is fairly unusual. A similar but more streamlined procedure takes place in the Intellectual Property Enterprise Court. In particular, claims before the Intellectual Property Enterprise Court may involve little or no disclosure of documents, may not involve cross-examination of witnesses and may even be decided on the papers alone without an oral hearing. The length of proceedings can vary depending on the size and complexity of the dispute, but would typically take a year to a year-and-a-half in both the High Court and the Intellectual Property Enterprise Court. When a criminal case is brought by way of private prosecution, the prosecutor lays ‘an information’ before the magistrates’ court - this is a summary of the case in writing - and the magistrates’ court will then issue and serve a summons on the offender requiring them to attend court within a month. When the individual appears in court, they will enter a plea. If the defendant pleads guilty then the magistrates’ court can arrange sentencing, or in more serious cases it may commit the case to the Crown Court for sentencing. If the offender pleads not guilty then the case will proceed through disclosure and will be committed for trial. Most cases will remain in the magistrates’ court, but where the case is more serious or where the defendant elects a trial by jury, the case may be transferred to the Crown Court. In civil proceedings for trademark infringement the burden of proof will lie with the claimant (usually the trademark owner) and they will be required to establish that burden on the balance of probabilities. In respect of criminal proceedings, the burden of proof is the normal criminal standard that the tribunal or jury is sure that the offence has been committed. It is of relevance here that it is a defence for a person charged with a criminal trademark infringement offence to show that he or she believed on reasonable grounds that their use of the sign was not an infringement of the registered trademark. Therefore, if this defence is raised, the tribunal must be sure that the defendant did not have this belief. The following may bring a civil claim for infringement of a registered trademark: the owner; an exclusive licensee in circumstances where the exclusive licence provides that the licensee has the right to bring such infringement proceedings; and any other licensee in circumstances when they have called on the trademark owner to take infringement proceedings and the trademark owner has refused to do so or has failed to do so within two months of being called upon by the licensee. However, this right of other licensees is subject to any provisions to the contrary in their licence or any licence through which their interest is derived. Anyone can bring a private prosecution for criminal trademark infringement. However, the Department of Public Prosecutions retains the right to take over any such prosecution and then discontinue it. In general only activities taking place within the UK can support an infringement claim. However, such activities may take place without the alleged infringer or the alleged goods entering the UK. An example of this would be the sale of infringing goods through a website that is accessed by consumers in the UK. The UK courts have taken the view (supported by rulings of the Court of Justice of the European Union (CJEU)) that offers for sale, and any subsequent sales, from foreign-based websites can infringe trademarks in the UK when the website is directed, at least in part, to UK consumers. In addition, proceedings can be brought in the UK when allegedly infringing acts are threatened. This means that it may be possible to bring infringement proceedings in the UK on the basis of preliminary activities taking place wholly outside of the UK. The standard position in trademark infringement proceedings is that both parties are required to disclose relevant documents in their possession as part of the proceedings. It is also possible to seek preliminary disclosure of certain specified documents prior to the commencement of proceedings, either from the potential defendant or third parties, whether those parties are located inside or outside the country. If the urgency of the matter justifies it, preliminary injunctions can be heard and dealt with very quickly. However, a more usual position would be for a preliminary injunction to be heard within a time period of one to three months, with potentially a short initial hearing after three to four days to decide whether a preliminary injunction should be put in place prior to the full hearing of the application. It is also possible to expedite proceedings, often referred to as a ‘speedy trial’, within a few months. However, it is more usual for trials of trademark infringement proceedings to be listed between one and one-and-a-half years after proceedings are issued. In certain extreme cases, where there are a number of preliminary issues to be dealt with, this timetable can stretch further. Appeals of first-instance trademark infringement proceedings have generally tended to be held six to nine months from the original decision. However, the Court of Appeal is currently suffering a significant backlog, which has meant that some appeals have taken up to a year or more to be heard. The costs of litigation can vary enormously depending on the value and complexity of the case and the resources of the parties involved. On one end of the scale, the Intellectual Property Enterprise Court operates a cap on recovery of costs from the other side of £50,000 (although the legal costs actually incurred can often be significantly higher than this). However, it would not be unusual for high-value cases before the High Court to incur legal costs in excess of £1 million on each side if the case proceeds to trial. 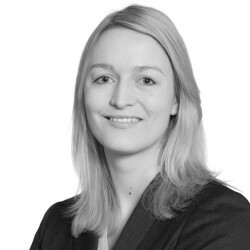 In extreme cases, costs can be significantly higher than £1 million, especially when the potential costs of appeals and possibly even references to the CJEU on aspects of EU law are included. Decisions of the High Court and the Intellectual Property Enterprise Court can be appealed to the Court of Appeal. It is necessary to obtain permission to appeal, either from the court whose decision is to be appealed or, if such permission is denied, directly from the Court of Appeal itself. Decisions of the Court of Appeal can potentially be appealed to the Supreme Court, which is the UK’s highest court. Again, it is necessary to obtain permission to appeal from either the Court of Appeal or the Supreme Court, such permission generally being hard to obtain in trademark cases. an earlier local right defence, which provides that a registered trademark is not infringed by the use of an earlier common law right in a particular locality (such ‘local’ right not being sufficient to invalidate the registered trademark). UK law also provides that a registered trademark is not infringed by the use of another registered trademark for the goods and services for which it is registered. The practical reality of this is that the owner of the registered trademark will need to take steps to invalidate a later trademark registration before it succeeds in any trademark infringement proceedings brought against the use of that mark. However, it is generally thought that this provision is not compatible with the UK’s obligations under EU law and is therefore vulnerable to being declared invalid by the courts. A successful claimant in trademark infringement proceedings will normally be entitled to seek either damages - the loss caused to them by means of an infringement or, if it is not possible to point to such a loss, a payment on the basis of a reasonable royalty - or an account of the profits of the defendant that are attributable to their infringing acts. A successful claimant would also normally be granted a permanent injunction preventing the defendant from infringing in the future. 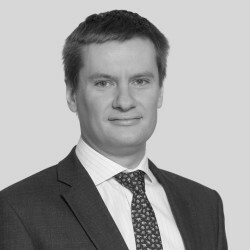 It is harder to obtain a preliminary injunction prior to the determination of the dispute at trial, as the UK courts will not focus on the merits of the dispute but will instead ask who will likely suffer the most irreparable harm if the preliminary injunction is or is not granted. Also important is that the successful party would normally be awarded its legal costs. A successful criminal prosecution in the Crown Court could result in the infringer being imprisoned for up to a maximum of 10 years or facing a fine or both. However, as set out at question 19, the majority of cases will remain in the magistrates’ court, where the maximum sentence is six months’ imprisonment or a fine or both. The court can also order the defendant to deliver up or destroy any infringing goods, and if it suspects that the infringer may have concealed criminal property or removed it from the UK then it could make a confiscation order. Finally, where the claimant has suffered quantifiable loss, the court may make a compensation order. Arbitral awards are generally enforceable and the use of arbitration or other ADR techniques to settle disputes is fairly common, especially when the dispute arises from a commercial relationship (eg, a licence agreement). In many cases, contractual agreements will provide for arbitration or mediation to resolve any dispute. It is also open to parties to use ADR to resolve disputes when they have not had any previous commercial relationship, but the engagement of a formal ADR process for such a dispute would be fairly unusual. The proprietor of a trademark that is entitled to protection under the Paris Convention or the WTO agreement as a well-known trademark is entitled to an injunction to prevent use in the UK of a trademark or the essential part of a trademark that is identical or similar to the well-known trademark in relation to identical or similar goods or services, where the use is likely to cause confusion. It is generally accepted that to qualify for protection the trademark must be well known in the UK. There has been relatively little case law on this provision in the UK. This is probably in part because such protection would only be required if there has been no use of the mark in the UK at all. If there has been use of the mark in the UK then it is likely to have obtained goodwill, which will be protectable under the UK law of passing off. The UK is currently due to leave the EU on 29 March 2019. Absent agreement between the EU and the UK, EU trademarks will cease to have effect in the UK on that date. However, the UK and EU are currently negotiating a Withdrawal Agreement that provides for a transition period until 2020, during which the UK will effectively be treated as part of the EU and hence EU trademarks will still have effect in the UK. The UK government has also confirmed that whatever the outcome of the Withdrawal Agreement negotiations, owners of EU trademark registrations will be granted an equivalent UK trademark registration when the UK does leave the EU trademark system. The position with pending EU trademark applications may be less straightforward and it appears that applicants will have to reapply for UK trademark registration and claim priority from the pending EU trademark application. Applicants for valuable EU trademarks may wish to consider applying for UK trademarks now to increase the chances of securing registered trademark protection in the UK before the UK leaves the EU trademark system. The UK government has now published The Trade Marks Regulations 2018 (SI 2018/825), which will implement the EU Trade Marks Directive by amending the Trade Marks Act 1994 with effect from 15 January 2019. One of the key amendments is the removal of the requirement for a UK trademark to be capable of being represented graphically. Following the removal of this requirement, it will become easier to apply for sound, colour, smell and moving image marks. In addition, the absolute ground of refusal which provides that a mark shall not be registered if it consists of a shape that (i) results from the nature of the goods; (ii) is necessary to obtain a technical result; or (iii) gives substantial value to the goods, shall be extended to other types of sign beyond shapes. It is likely that many of these signs would have already been refused registration on the basis that they are devoid of distinctive character. In 2016, it was confirmed that blocking injunctions (which require an ISP to block its users’ access to certain websites) are available in cases of trademark infringement. However, there was an appeal as to who should bear the cost burden of such an order. The Supreme Court has recently overturned the decisions of the Court of Appeal and High Court and ruled that where the ISP is acting as a mere conduit the trademark owner (and not the ISP) should bear the costs of implementing the order. This decision will make it more costly for brand owners to have blocking orders implemented, so will make them a less attractive remedy (Cartier International AG and others v British Telecommunications plc and another  UKSC 28). 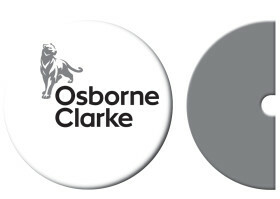 Osborne Clarke is a future-focused international legal practice. It has over 850 talented lawyers and more than 225 expert partners working in 25 locations to help clients across eight core industry sectors succeed in tomorrow’s world.